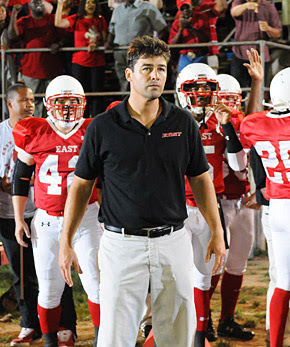 For all intents and purposes, I should have hated Friday Night Lights. Unlike most people, I loathed my high school experience, I do not enjoy Texas nor the exploits of teenagers. Oh, I also thought the movie was kind of dull (in retrospect). Furthermore, I was less than impressed by the promos for the television show back in 2007. Then I picked up the first season right after its release (because I had nothing to lose... long story), was impressed by the quality of the show and was a fan of it ever since (something that makes me the object of ridicule, thanks Hawk). Season five and the series ended back in February and it has taken me until now to finish the show because I hate finish to shows when I know that they are over (It took me two years to finish Terminator: The Sarah Connor Chronicles season II after it was canceled and I loved that show). This should have been irrelevant because it was by sheer luck that the show made it to five seasons considering its low ratings. In fact, it is the one (and I mean, one) time that a network has said, "hey, we have a critically acclaimed show with low ratings and lets make it work to keep it on the air." Having concluded the fifth season, I have to say thank you for that. While many will (and obviously have) dismissed this series because of the high school element, I have (and will) continue to say that they are missing out. 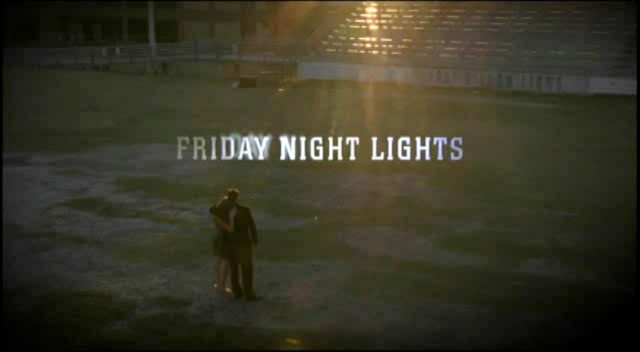 Friday Night Lights was an incredibly well-written (damn, intelligent writing), acted, edited, scored... You get the picture. That is why I have always been surprised about the show... The promos for it and its source material were so awful (Yet, people love the movie and I do not understand it... Ironically, that is what people think when I mention the show). Season five of Friday Night Lights was about saying good bye to these characters but also the location in which they reside. From the perspective of the viewer, it was fairly predictable but never insulting. You knew that the Taylors (Connie Britton and Kyle Chandler) would not remain in Dillon, Texas at the conclusion of the series, after all, as it would run contrary to the "escapist" (from rural america) mentality perpetuated in the show. Also, apparent was that the East Dillon Lions would win state... Little did anyone know, it would be one of the better uses of montage that I have seen in a very long time. There is much that I would love to say about this show but seventy-six episodes creates a lot of content to discuss. Friday Night Lights provided the most accurate portrayal of rural (or small town) America that I have ever seen. It is no wonder why communities such as Dillon latch on to something as trivial (in the grand scheme of things) as high school football because there is simply nothing better to do. Moreover, I have yet to have seen a more functional version on television of the American family or marriage (in general) than that of the Taylors. Of course it is fake and does not exist in real life but it is interesting to watch it play out. With that said, it was amazing that this show was able to maintain its level of quality from seasons 1-5 or that it made it to season five and I am sad to see it end... But, I suppose I only have to wait a year for the movie (Yes, I am not making that up). I'm shedding tears as I type reading this and knowing...that you actually spent money on this show. Time to man up, Manny, and head back to Deadwood so you can forget these high school faux heroics littered with jock douchebag trash ever exited in your brain. Sorry, couldn't resisted one last FNL joke. However, lame HS football obsessives aside, Texas is awesome. Now if you'll excuse me, I'm gonna go watch some D3: the Mighty Ducks to remember how it's REALLY done, yo.